As the warmer weather/heat wave/unbearably sticky weather continues it means bbq's and summer parties are in full swing. I often find after wearing heavier make up for parties or products with a higher spf in warmer weather, the effects on my skin are really noticeable. Cue whipping out the face masks and scrubs with my favourites being from Lush aka my second home. Lately I've been loving the Cupcake face mask from Lush which I use to give me skin a little pick me up or if it's looking a little tired. It has some fab ingredients including cocoa powder (so it smells incredible too) to help draw out impurities leaving your skin clean and soft! It also includes fresh mint to tone your skin and reduce redness so it's the perfect mask for me and any other oily skin suffering bloggers out there. This is definitely one of my favourite Lush skincare products and so far it's worked wonders on my skin. Definitely one for your shopping list. For a more deep skin clean then exfoliating is your new best friend. 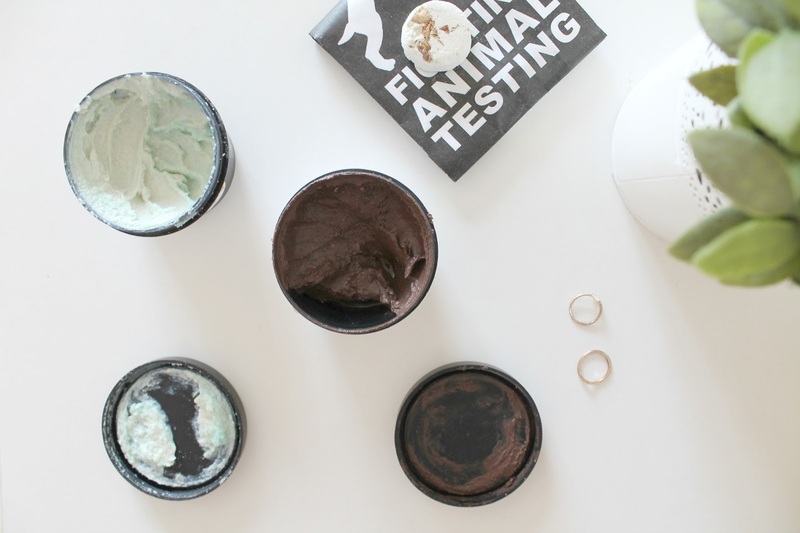 I exfoliate quite regularly to help get rid of dead skin cells and keep blackheads at bay and Lush's Ocean Salt face and body scrub is my favourite for this. Not only does it look like mermaids and unicorns (trust me its the prettiest shiny blue/silver colour) but it when I use it after the Cupcake mask my skin is SO SOFT. This is perfect for giving your skin a bit of TLC if you've been to a few too many summer parties and it needs a little revitalising because the ingredients really help to brighten your complexion! With grapefruits to help cleanse and tone and sea salt to help scrub away any dead skin cells this really is the perfect after party skin solution (could that sentence have been any longer..?). The final product I wanted to mention is one I have yet to try but I am so excited for! Lush's Dream Steam tab is quite possibly the best after party skincare idea ever for helping get rid of any impurities that could have got into your skin through make up or just from suncream and general other summer things your skin might hate! The idea behind Dream Steam is to drop it into hot water and use the it to steam your face with all the fab essential oils inside it. You can also use a muslin cloth or flannel once the water is cooler to wash away any dirt or product/make up from your face; the perfect product non? Let me know what your favourite skincare products are for the summer months or if your thoughts on any of these Lush ones!